Former All Whites defender Andy Boyens has been appointed as the Interim Technical Director of New Zealand Football. Boyens, who joined the governing body in January 2015 in the role of Youth Development Manager, will step into the position until a permanent Technical Director is recruited. New Zealand Football Interim CEO Andrew Pragnell says Boyens’ appointment is a logical step. “Andy brings considerable experience to this role,” Pragnell says. The Technical Director is responsible for ensuring both players and coaches have a clear pathway from community participation through to international teams and providing them with the appropriate support on this journey. Boyens, who played 19 internationals for New Zealand and was as a member of the All Whites squad which went undefeated at the 2010 FIFA World Cup in South Africa, is looking forward to the opportunity. “I’m hugely passionate about New Zealand football and feel privileged to be able to be in this position and contribute to the further development of the game,” he says. Boyens came to New Zealand Football on the back of a successful playing career. The 34-year-old played for four clubs in Major League Soccer (MLS) in the United States, including the LA Galaxy where he won the MLS in 2012. During his time as a professional footballer, Boyens worked as a coach in his respective clubs’ community programmes and academies, including a two-year stint in the LA Galaxy Academy straight after his playing career. 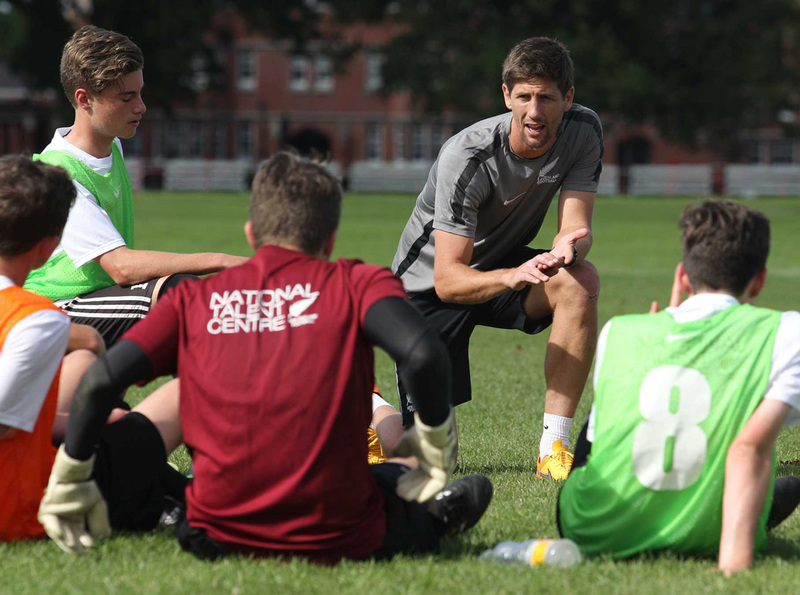 He holds the OFC/NZF C, B and A coaching licences, as well as the United States Soccer Federation (USSF) B Licence, and has helped deliver coaching courses throughout New Zealand. He also has both a Bachelor of Arts and Bachelor of Commerce from the University of Otago.